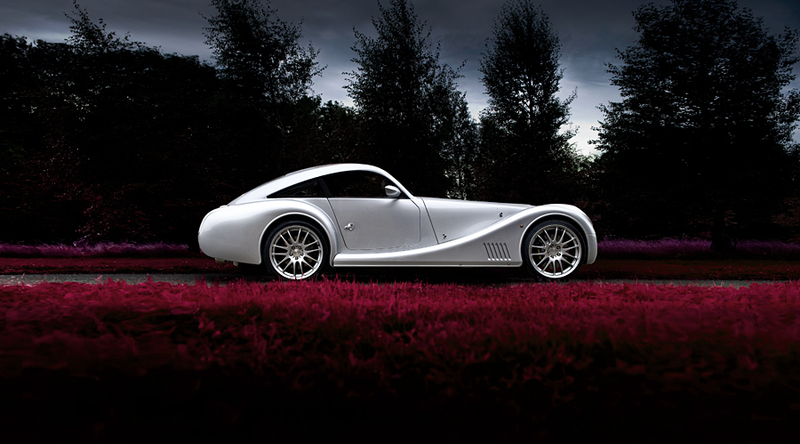 This week are are very pleased to welcome The Morgan Motor Company as a new client. We were approached by Morgan to shoot several of their superb models for some new brochures including one exciting new model soon to be launched in early March at the Geneva Motor Show, early last week shooting started with Tim Wallace at their main site in Malvern. We were approached by Morgan to shoot several of their superb models for new brochure designs, the Aero 8, 4/4 Sport and including one exciting new model soon to be launched in early March at the Geneva Motor Show, early last week shooting started with Tim Wallace at their main site in Malvern. Ambient Life photographer Tim Wallace spend 3 days initially with Morgan to produce the work for the first shoot and this is mainly for use within their brochures and web presence however some of the work is planned to be used in the main Morgan area at the famous Geneva show in early March this year. It is at this time that their new model will be launched and when that occurs we will be able to display that work on the main Ambient site here also as the model is not public yet until Geneva. Over the coming months as work continues we will be sure to keep you up to date as this project develops and progresses.